At the heart of Phi Kappa Tau is the commitment to live out our values through learning, leading, and serving, and creating brotherhood by fulfilling this mission together. But we can always use some good role models, particularly if they’re furry and adorable. 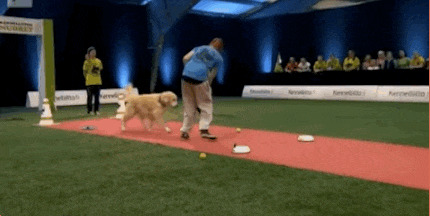 Here are 20 gifs of animals learning, leading, and serving that are sure to inspire you. This dog is learning that it’s not about the destination – it’s about the journey. This marmot is preparing to lead her ballet company to fame and renown. These otters are eager to serve each other’s need for a nap buddy. This mouse learning how to dunk is a teacher to all. This corgi leads her pals to new heights. This dog serves his buddies by driving them to work. This brave cat is learning that showers probably aren’t the worst thing in the world. This dog leads the way for playtime. This little dude is exemplifying a pretty rad, laid-back, and healthy attitude. This bird is a true public servant. These dogs take the time to learn about other perspectives, such as that of penguins, monkeys, and doughnuts. This fearless cat leads her friends up the Great Denim Tower. These turtles are eager to serve their goat friend’s desire for turtle-rides. And who doesn’t love turtle-rides? This red panda is learning how to get the thing. This corgi leads the NBA in shots made from inflatable rafts. This cat serves his friends by giving face-massages. And nothing beats a good face-massage. This cool cat is showing its friend just how important he is. This dog’s leader spirit is relentless. This otter serves his thirsty friends in need. And he’s so prompt! Check back next week for our upcoming post, the Zeta Kappa Summer Playlist!